If you're lucky, your cannabis plants buds will all be ready for harvest around the same time as their neighboring buds. However, some cannabis strains naturally finish their buds at the top of the plant first, while other cannabis strains do the opposite. 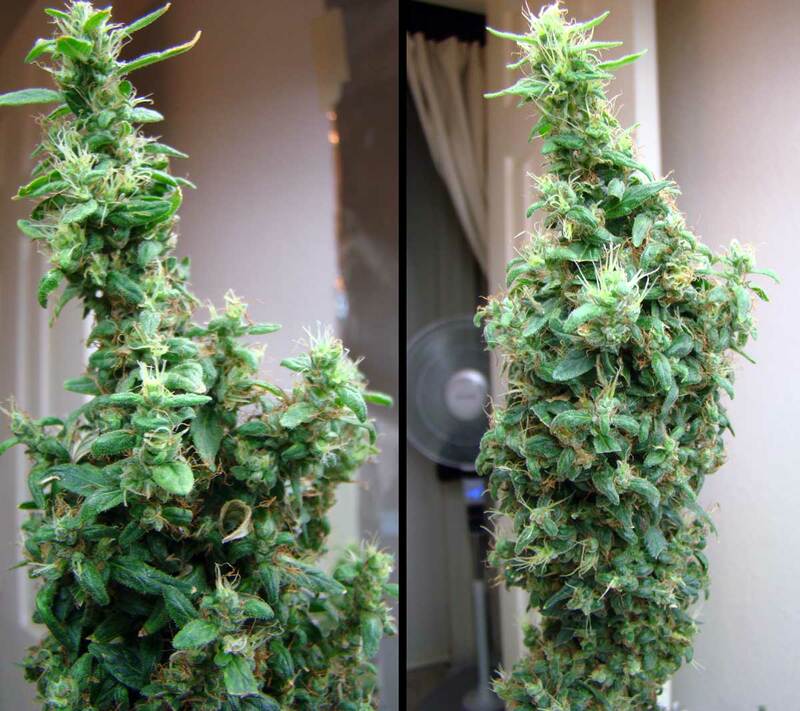 When buds are at different stages of maturity depending on their location on the plant, it can be hard to know when to harvest! 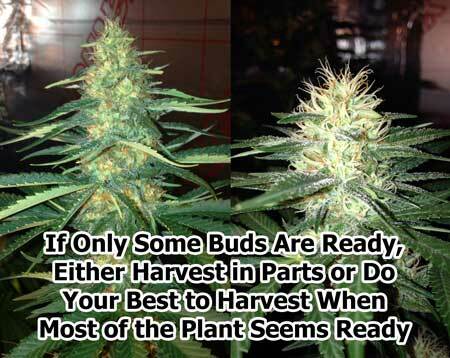 It's okay to harvest your cannabis plant in parts! Most growers choose to harvest the entire plant at once, but some cannabis strains make that difficult. For example these buds are at very different stages of development even though they're on the same plant at the same time! When parts of the plant mature faster than others, it's completely okay to harvest in parts starting with the most mature buds. 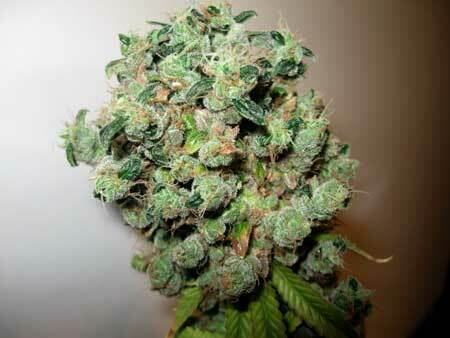 Then you can harvest the rest of the buds as they appear ready. 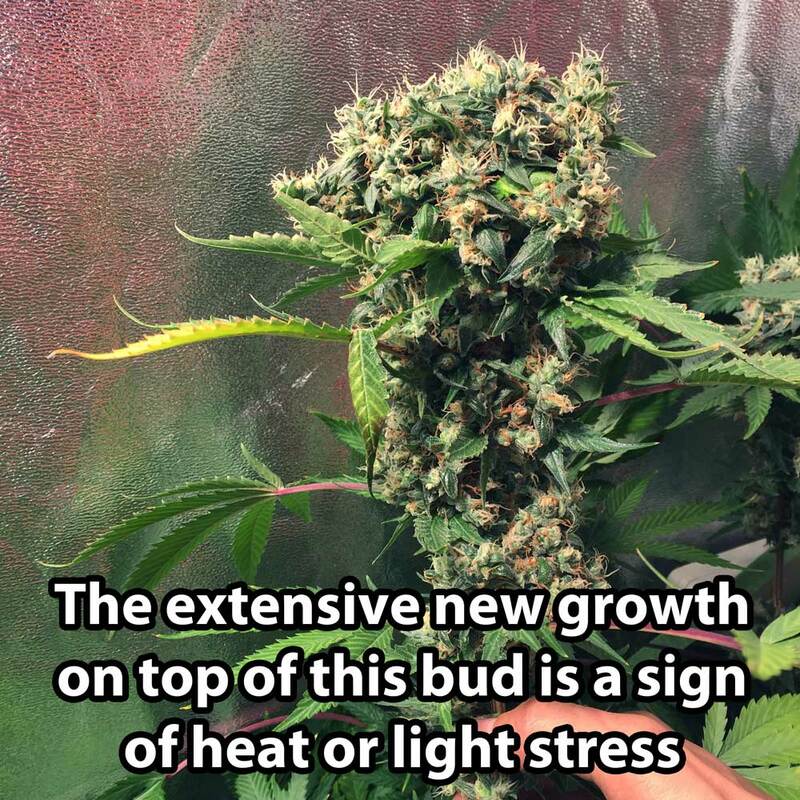 Many growers accept that some buds are going to be at different stages of development and just try to harvest the plant when most buds look the most ready. That might even be a good thing since you get to try out the slightly different effects from harvesting buds at different stages! When is it not normal to keep getting new pistils? It's not normal when your plant is making new pistils only on the parts of the buds that are closest to the light. This can stress the buds by heat or because the light levels are too high. Note: If your plant is also growing weird, round leaves, it's possible your plant is revegging. Never-ending pistils is most likely to be heat or light stress if the buds seem to be losing their round, pointy shape from the new growth. Buds growing in strange shapes can be a sign of heat or light stress. This plant got new buds growing with white pistils right as the rest of the buds started looking done. 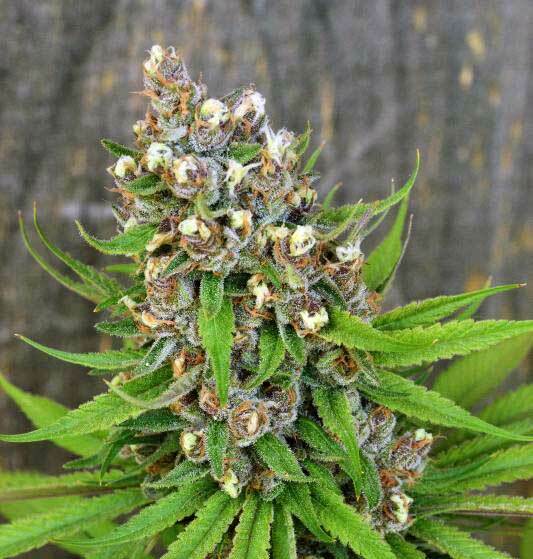 Each new bud or "foxtail" is covered in lots of new sugar leaves because the plant is actually growing brand new buds like towers or mini colas emerging from the old ones. 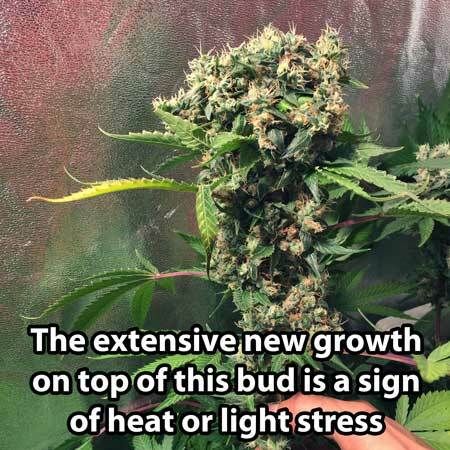 In the following example, the cannabis bud has been damaged by both too much light and too much heat. Although the rest of the buds on the plant appear almost ready to harvest, this bud closest to the light keeps putting out more and more white pistils as new buds grow on top of the old one. If you see these symptoms, you should be looking at the older parts of the buds to decide when your plant is ready to harvest. Don't pay attention to the newest growth because it will look immature even if the plant is ready! Control the heat if you can! Getting the top canopy a few degrees cooler can make a huge difference in your efforts to stop foxtailing! Even if the temperature is okay, move your grow lights further away if possible because sometimes bud damage is caused by light burn. Light stress without heat is most common with HPS and LED grow lights that are kept too close. Any buds formed this way are still perfectly good to use for smoking, vaping, edibles, etc. For cosmetic purposes some people reshape buds during the trimming process, but it's a matter of personal preference! Consider giving your plant shorter days (longer nights) to "hurry" it to finish flowering. By giving plants a 11/13 or 10/14 light schedule (13-14 hours of complete darkness/day), you will encourage your plant to finish flowering sooner. When is it Normal for Buds to Put Out New Pistils? It's important to remember that it is normal for some strains to put out new waves of pistils two or three times during the flowering stage, even without heat or light damage. Fox tails and new white pistils are normal if they're staying small and happening evenly all over the buds. This type of fox tail is caused by the strain, not heat or light stress. You see this most commonly on Haze and Sativa strains. Speaking of Sativas, did you know that some Sativa and Haze strains will usually not make any amber trichomes? If you're waiting for trichomes to turn amber before you harvest a Sativa strain, you may be waiting a long time. If your plant has been flowering for more than 3 months, sometimes it's best to wait until the trichomes are mostly cloudy and go from there, without waiting for any amber trichomes. If your Sativa keeps putting out more and more pistils in a healthy way, and you want to "hurry it along," you can reduce the number of hours of light they get a day from 12/12 to 11/13 or even 10/14. Giving plants longer nights during the flowering stage causes them to mature faster, and it may be needed to get Sativa strains (some of which come from the equator) to "finish up" in a reasonable amount of time. 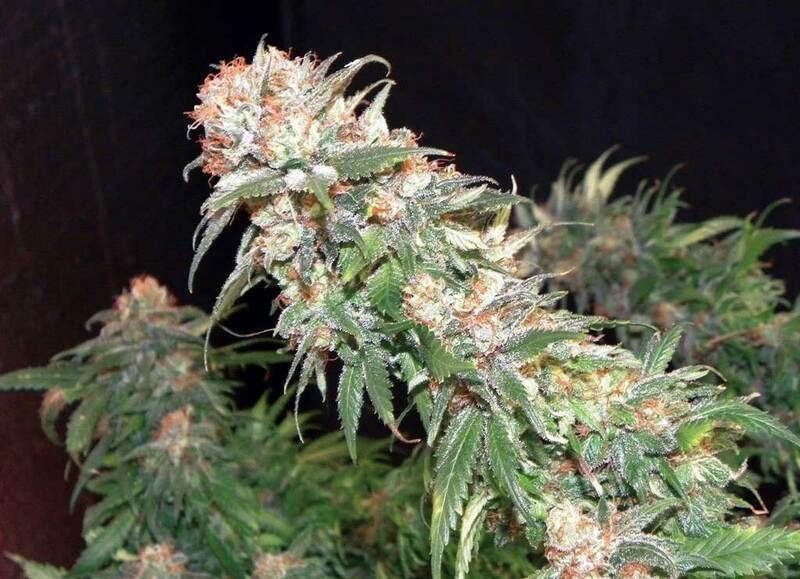 Learn more about cannabis foxtails! One of the things that many growers immediately notice about heat damaged buds is they keep growing tons of new sugar leaves. Since the plant is no longer in the vegetative stage it won't make regular fan leaves anymore, but it still will desperately try to grow new leaves to power the growth of these new buds. 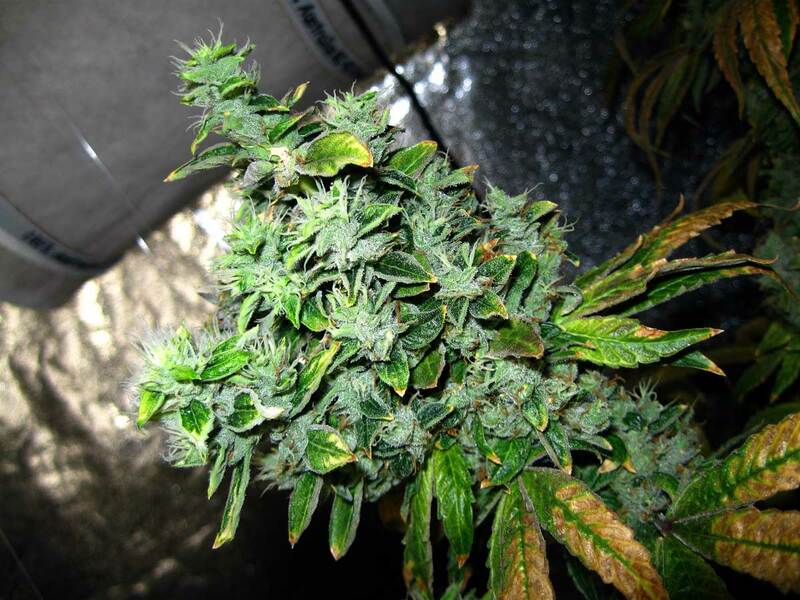 Some strains naturally grow more sugar leaves than others but when there's tons of them and the sugar leaves themselves look odd like this (and the odd growth happens mostly to buds closest to the light) you know for sure it is not normal! In the picture below, the grow space wasn't even hot at all. 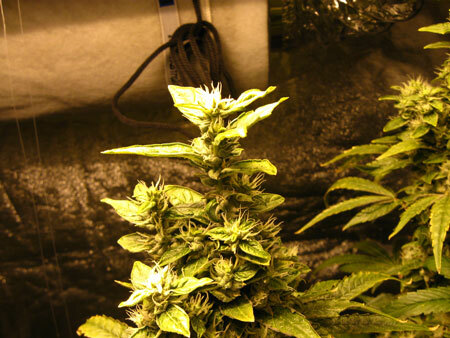 The buds started foxtailing because the LED grow light was too close and the plant started getting light burn. Your plants can be burned by too powerful light even if it's the right temperature. 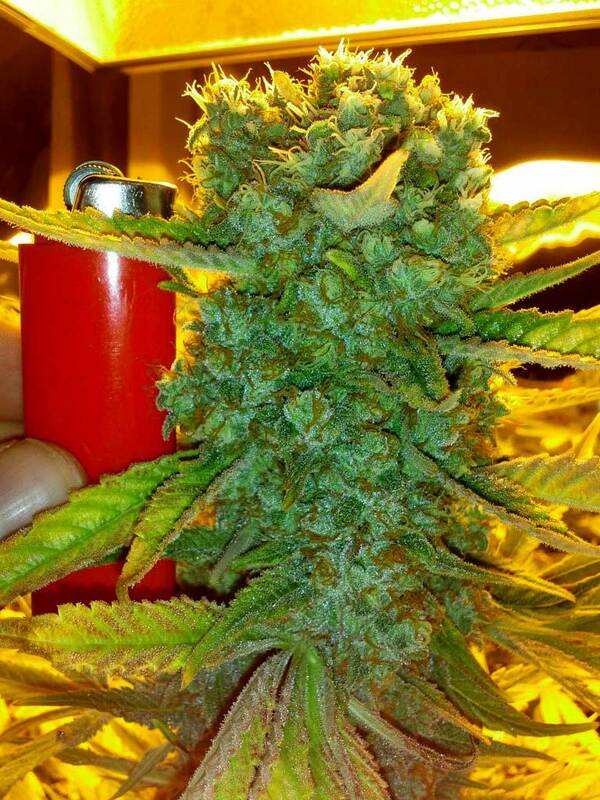 Here's another example of a fist-shaped bud with tons of new white pistils and sugar leaves on top as a result of stress. This case was caused by an LED grow light being kept too close even though the temperature was good. 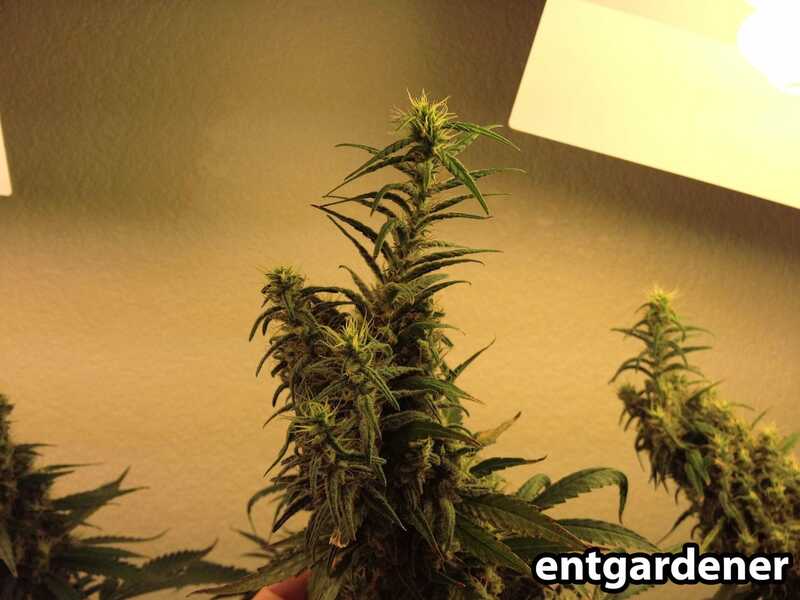 These buds were also affected by LED grow lights being too close. Notice the odd-shaped buds near the top of the cola. In contrast, the lower buds were shaped normally. When I first started growing I didn't realize what was happening when I saw fox tails and strange bud shapes on my cannabis plants. I didn't realize my plants were trying to tell me something! Now that you know what your plant is saying with its bud shapes, you know what to do!